ARMS® Business Solutions UK today announced its intention to buy Dewsbury-based EMACS, developers of an award-winning bodyshop management system. Completion of the agreement is subject to regulatory approval. The acquisition offers ARMS Business Solutions UK, a wholly owned subsidiary of Enterprise Rent-A-Car UK, the opportunity to develop better bodyshop management software in the UK and to continue to grow the portfolio of solutions it provides to the collision repair market. ARMS Business Solutions UK will work with EMACS sales and software teams to ensure the development of EMACS software, as well as the products developed by Bodyshop Management Solutions (BMS), which was acquired by the business in 2015. The acquisition of EMACS, for an undisclosed sum, will enable greater synergies and allow the companies to develop new products more cost effectively for the benefit of their customers. The agreement comes after EMACS founding members Alan and Eric Hargreaves sought a suitable buyer for the company following their decision to retire. EMACS will continue to operate as a separate entity based in Dewsbury and all remaining employees will stay with the business. EMACS was established in 1995 by Alan and Eric Hargreaves, who together brought almost 70 years of experience in the body repair and computer software sectors. “Finding the right partner was our main priority when the time came to retire. 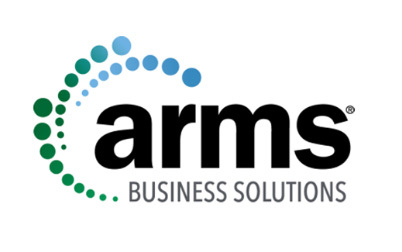 ARMS® Business Solutions UK was by far the best fit given the company’s long-term commitment to the bodyshop sector. Its growing technology subsidiary complements EMACS’s systems perfectly. Over the last 10 years Enterprise has invested US$2.4 billion in acquiring a multitude of technology and mobility companies across the world. The current portfolio includes driver-assistance systems, travel planning and booking technology, real-time routing, assessment and planning as well as a mobility search app that allows customers to search, compare, book and pay for journeys that involve multiple modes of transport. The company also continues to invest in technologies to support the collision repair sector. © 2019 Trend Tracker Limited. All rights reserved. Company number 11650010. We also share information about your use of our site with analytics partners who may combine it with other information that you’ve provided to them or that they’ve collected from your use of their services.